With our enormous and effectual industry experience, we are instrumental in delivering a wide consignment of Colourful Non Woven Carpet. 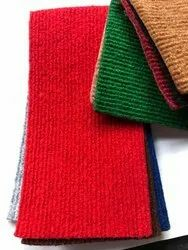 We are the leading manufacturer of Non Woven Carpets. These carpets are made up of good quality raw materials. These hand tufted carpets are designed in such and unique way that they increase the look of a floor where they are placed. Remembering the present business sector guidelines as a top priority, we are best in offering best class exhibit of Non Woven Carpet that are non woven and available in fancy designs. Usage: Exhibitions, fairs, multiplexes, conference hall, interior decoration, institutional market, tent house. 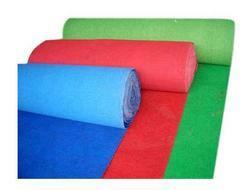 We are remarkable enterprise, instrument in offering superior quality Non Woven Floor Carpet. We are one of the renowned organizations, involved in offering a wide gamut of Non Woven Synthetic Carpet to our clients. The basic materials used in the designing of these products are high quality.